Today's lookback for our 15th anniversary comes from Lukas Adam, who is writing about the Local Path Design Guide, which we worked on with Resilio Studio, and you can check out in full here. Imagine waking up on a fine Saturday in spring and planning your usual morning with a twist. Instead of bundling the kids into the car for the trip to the local football fields for their game, you decide to get everyone onto their bikes and try out that new local route you read about online. You feel unencumbered cruising through quiet streets and through parks in the fresh air, the kids love it and get a warm up while they are at it. You park the bikes on the side line and the kids sprint off to find their team mates. On the way home, you decide to stop in at your local favourite café and treat the kids to an ice cream. After grabbing some bread from the dairy, you head home via the alternate bike route along the estuary. One of my favourite projects during my time at MRCagney has been putting together the Local Path Design Guide, a guideline on how to make this sort of Saturday morning a reality in Auckland. We worked together with Resilio Studio on this project for Auckland Transport in 2015-16. 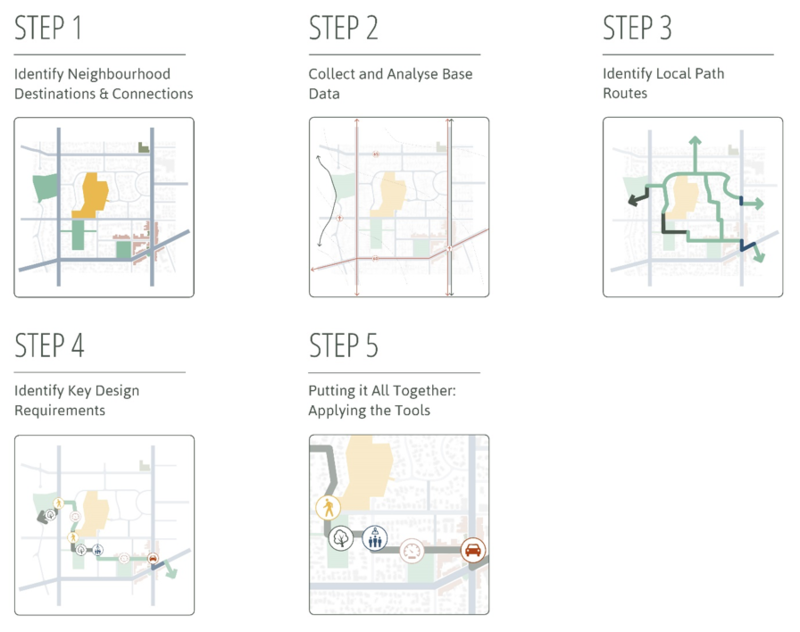 The Local Path Design Guide was developed to provide best practice guidance for designing and developing successful local path networks through our neighbourhoods and across the Auckland region. Also known as greenways or bike boulevards, local paths consist of quiet streets with slow-moving vehicles plus routes through parks. Local paths are important as they extend the usefulness of the core cycle network as well as connect local destinations such as schools, town centres, and parks. The guide enables users to design local paths which are safe, enhance ecological function, think creatively about how to engage community, and provide options and encourage transportation behaviour change for everyone. New Zealand, I feel like the Guide could make a real impact in improving conditions for walking and cycling nationally. The Local Path Design Guide provides a range of strategies and tools for a range of audiences, from local boards and community groups through to professional consultants, to utilise, plan and design a local path network. The Guide takes the user through a number of steps to choose the best route to link the most meaningful destinations and then decide which tools are best suited to achieve the conditions required for a local path. 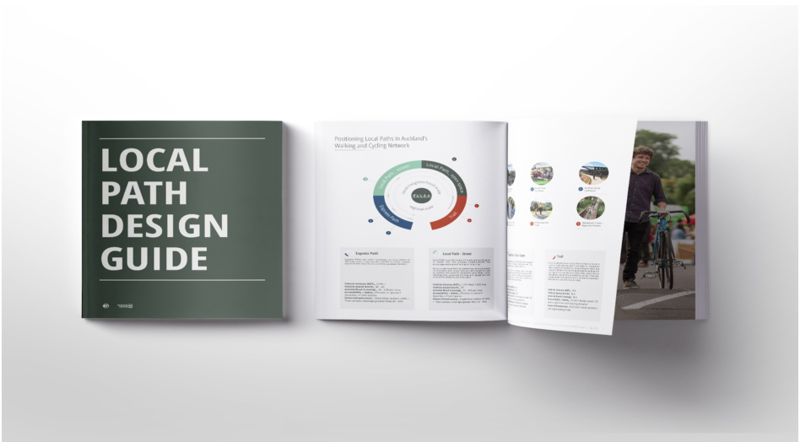 Local Path Design Guide is the first resource that combines network planning advice, performance standards, and a toolkit of design solutions to implement greenways. While technical in nature, a huge focus of the project team was to ensure the document was highly illustrative making it easily accessible for decision makers, community members and practitioners new to the concept.